A chance to write, will you help? to win the opportunity to spend 4 days at New York's Gibson's showroom to write and play and meet industry pros who will check in on what I'm up to.
. The list is endless of the amazing recordings that came out of the Hit Factory. Years ago I had stopped by to visit friend and engineer/producer Steve Rinkoff who was mixing Celine Dion's record. I was blown away by the room. I'd love to have the chance to be able to hang out in that environment for a few days, quite a change from the underground! to have this chance. It's FREE. 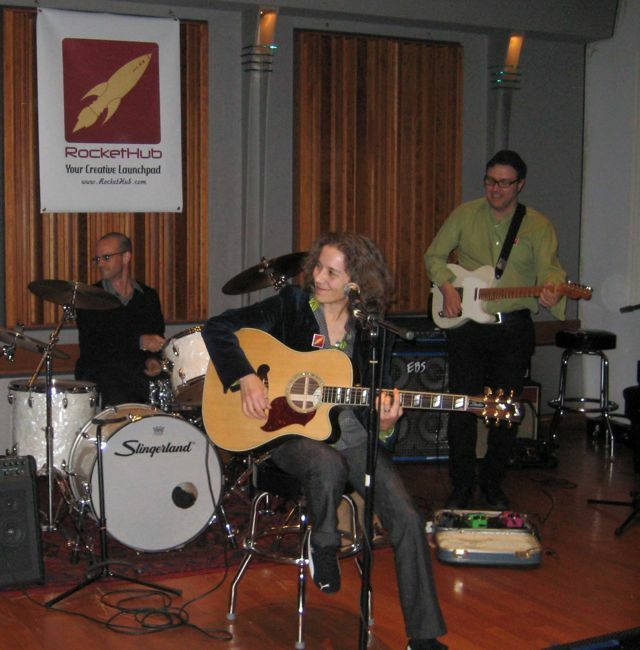 Here's me jammin' at the launch party for Rockethub at none other than the Gibson Showroom, time for me to make another visit, don't you think?